Kill A Watt EZ - Energy cost and forecasts. Model P4460 - ON SALE!!! (Zero Reset - 5 Pointer Style). Model: I-70S, Type: I-70S, Form: 2S, Class: 200, Volts: 240, Wire: 3, Cycle: 60, Test Amp: 30, Capacity: 200 Amp. Model: Centron, Type: C1S, Form: 2S, Class: 200, Volts: 240, Wire: 3, Cycle: 60, Test Amp: 30, Capacity: 200 Amp. Solar etc. 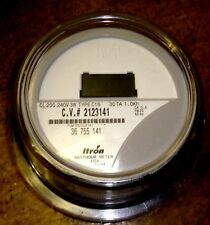 "All meters are tested and have a 2 yr. warranty." Model: Centron, Type: C1SR, Form: 2S, Class: 200, Volts: 240, Wire: 3, Cycle: 60, Test Amp: 30, Capacity: 200 Amp. Best Usage. Model: I70S, Type: I70S, Form: 2S, Class: 200, Volts: 240, Wire: 3, Cycle: 60, Test Amp: 30, Capacity: 200 Amp. Solar Energy Forward & Backward Net Readings etc. Insert the hot wires L1 through the L1 hole of DDM720. Insert the hot wires L2 through the L2/N hole of DDM720. Pulse output: 800 pulses per kWh. LCD Display, 99999.9 kWh. Easy to install. There is increased safety and reliability. Model: Centron, Type: C1S, Form: 2S, Class: 200, Volts: 240, Wire: 3, Cycle: 60, Test Amp: 30, Capacity: 200 Amp. Covers are plastic and may have scuffs or discoloration. Marwell Corporation. 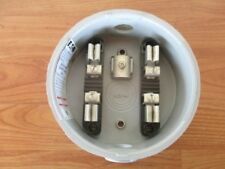 Pictures are representation of this socket. Best Usage. Connection Diagrams. Rated for indoor Or Outdoor. Output Range 4mA to 20mA. Output Range 1V to 10V. Easy to use. just wire it up and start troubleshooting your system and producing a usable signal. 12-30V DC External Power. 4-20 mA Current Source. 2-Wire Current. Model: Centron, Type: C1S, Form: 2S, Class: 200, Volts: 240, Wire: 3, Cycle: 60, Test Amp: 30, Capacity: 200 Amp. Best Usage. Standard residential 100 amp 4 jaw socket (new) includes locking ring. Model: AB1, Type: AB1R, Form: 2S, Class: 200, Volts: 240, Wire: 3, Cycle: 60, Test Amp: 30, Capacity: 200 Amp. EZ READ (CYCLONE TYPE). 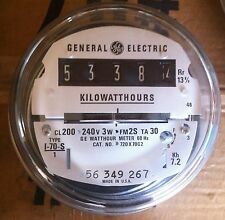 Vintage GENERAL ELECTRIC GE Watt Hour Meter 110 Volts, I-14, 5 amps steam punk. Condition is Used. Shipped with USPS Priority Mail. (EZ Read (Cyclone Type). Model: MX, Form: 2S, Class: 200, Volts: 240, Wire: 3, Cycle: 60, Test Amp: 30, Capacity: 200 Amp. ). Condition is Used. Very heavy. 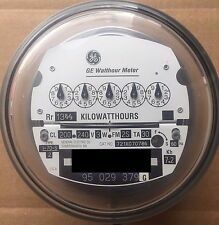 "All meters are Zeroed tested 2 yr. warranty." I ONLY REMOVED THE TOP OF THE ONE UNIT FOR THE PICTURES. Trending at $53.22eBay determines this price through a machine learned model of the product's sale prices within the last 90 days. Large Lcd Counts Consumption By The Kilowatt Hour Connects To Household Appliance & Assesses Its Efficiency Calculates Electrical Expenses By The Day, Week, Month Or Year Checks The Quality Of Power By Monitoring Voltage, Line Frequency & Power Factor Dim: 5.13''h X 2.38''w X 1.63''d Electricity usage monitor connects to appliances and assesses efficiency Large LCD display counts consumption by the kilowatt-hour Calculates electricity expenses by the day, week, month, or year Displays volts, amps, and wattage within 0.2 - 2.0percent accuracy Compatible with inverters; designed for use with AC 115-volt appliances . Durable Crystal Clear Ultra Violet Polycarbonate which is much lighter and more durable than glass! 7" OD on the open end. 5-3/8" OD on the closed end. 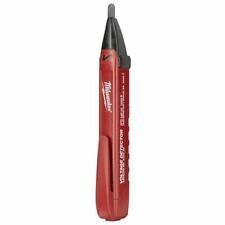 It features a combination of an LCD screen, straightforward icons, and large buttons that makes it both easy to use and set up. Renogy was founded on the strong belief that solar power should be available to everyone, anywhere on the planet. Appears to be in great condition. Freq: 0-40kHz±3.0%. 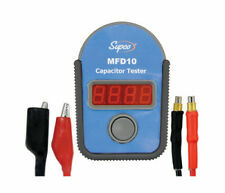 Test leads, 2 AA alkaline batteries, Thermo probe, RS232 cable, Software & User manual. CAP: 0-4n-400nf±4.0%. Diode test: 25uA,3.0V. Note: The color may be Red or Yellow. Compatible with Xp and downward, it may not work on Vista and Win7. This is in full working condition. P/N: 9W1491, 9W-1491. Applications: C15, 3208 Ind Eng, D6D/E, D5E, D7G, 3304 Ind Eng, 3406B, 953, 973, 943, 518, 16G, 963, 14G, 130G, 120G, 12G, 971G, 966C and many more. Check with your dealer to see if this will work for your machine. Insert the hot wires L1 through the L1 hole of DDM710. Insert the neutral wire (N) through the L2/N hole of DDM710. Pulse output: 1600 pulses per kWh. LCD Display, 99999.9 kWh. Easy to install. There is increased safety and reliability. The three incandescent pot coil lights are working (see photo #5).